We visited a friends ranch close to the AuSable River & Forest. There was a private railway w/ Train. 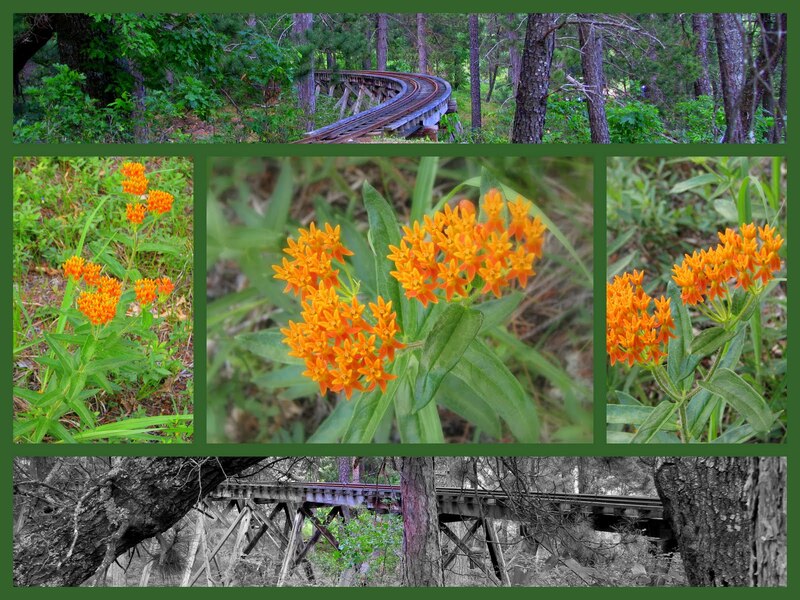 The top picture shows the rails and wild flowers that were growing along side the railroad tracks. The lily pond reflected the trees and plants like a mirror. It is difficult to determined the pond's surface versus the landscape.